"All happy families resemble one another, each unhappy family is unhappy in its own way" (1). A month ago, my book club chose to read Anna Karenina, which is quite the solid brick of literature. 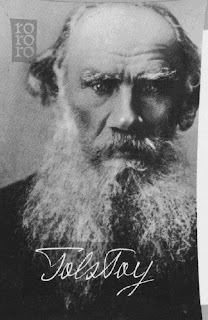 It’s 817 pages of Leo Tolstoy-ness, so you’ll understand why I haven’t blogged about reading in a while. I’m a fast reader, so I have to remind myself that not everything can be finished in a week. Anna Karenina took me a whole month to read! That’s the longest I’ve spent on one book since I read A Suitable Boy back in 2004 (which happens to be one of the longest books in the English language). It’s the kind of book that you just settle into, get comfortable, and realize that you are going to spend a lot of time with these characters. And spend time with them I did! 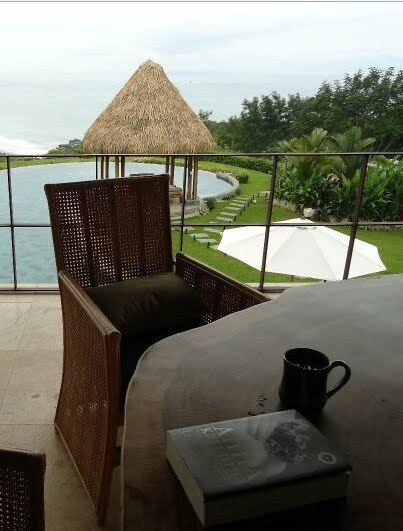 This book accompanied me to Costa Rica and back to DC and then home to Tahoe – not to mention many many inner-DC trips on the metro and busses. Though it’s long and solid, it’s really quite a breeze. Anna K. (as I so fondly refer to it) reminds me of a Jane Austin or Charles Dickens book, with a wee bit of philosophizing thrown in just to remind you that you’re reading Russian literature. Like Dickens’ books, Anna K. was originally published in installments in a 19th century Russian magazine. For readers today, this means that the chapters are short and concise, which I think really kept the story moving. Compared to his other books, Anna K. is Tolstoy-lite (even thought the book itself feels like carrying a brick in my purse! ), and is supposed to be a good introduction to his writing. The story is about the tragic love of the title character, but also just as much about Konstantin Dmitrievitch Levin ("Kostya"), who is Anna’s brother’s wife’s sister’s suitor (are you confused yet?). Both stories run parallel and intermingle within the Russian elite. I actually preferred Levin’s story to Anna’s, minus the parts when he philosophizes about the state of the Russian worker/farmer. But the dull parts are short and interspersed within the narrative; so don’t let them dissuade you! Go here for a complete plot summary. But I actually recommend you don't - the story is easy to follow and will be better if it's a surprise! I didn’t really connect with any of the characters. There were some I liked more than others (Dolly, Kitty, Stiva). I will warn you in advance – the names are TRICKY! I suggest you read the note on names in the front of the book. Also, read the end notes as you go, it will make some parts make a lot more sense. Check out this character list to clarify as you read. Since this is kind of an impressive academic book, let’s talk about themes. According to Lemony Snicket, "The central theme of Anna Karenina is that a rural life of moral simplicity, despite its monotony, is the preferable personal narrative to a daring life of impulsive passion, which only leads to tragedy." That sounds pretty solid to me. I thought a theme was the unreasonableness of love. Levin comes to that conclusion at the VERY end of the book (page 797-ish I think). Anna K. is one of those impressive classics that you just want in your reading repertoire – so I suggest you read it! Good luck!